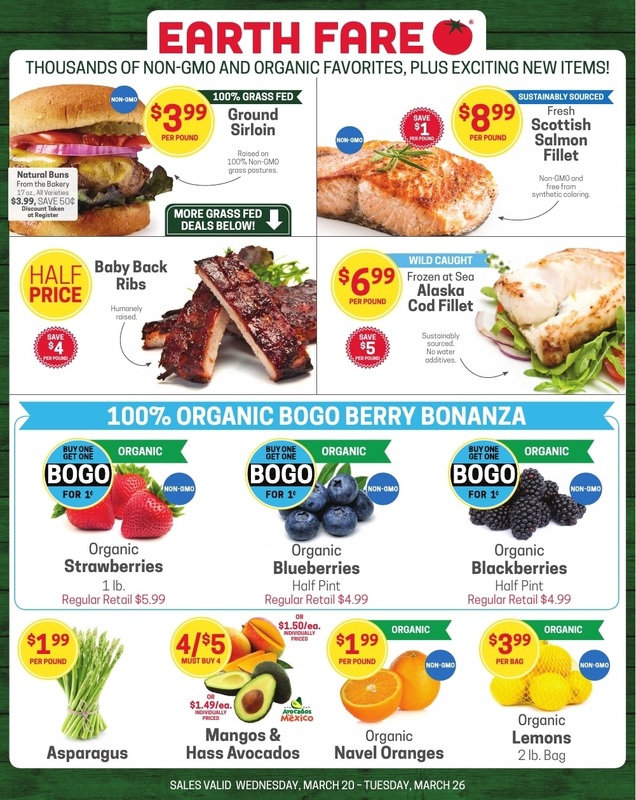 Get the ⭐ Earth Fare Weekly Ad April 10 - 16, 2019 on this page. 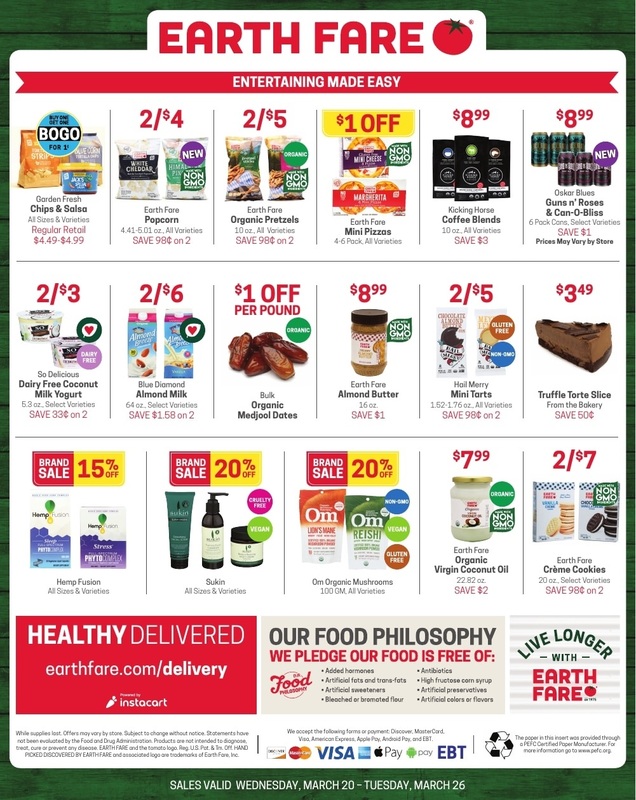 Don't miss out on the latest ✅ Earth Fare Ad 4/10/19 - 4/16/19 and find the latest sales ad and deals. 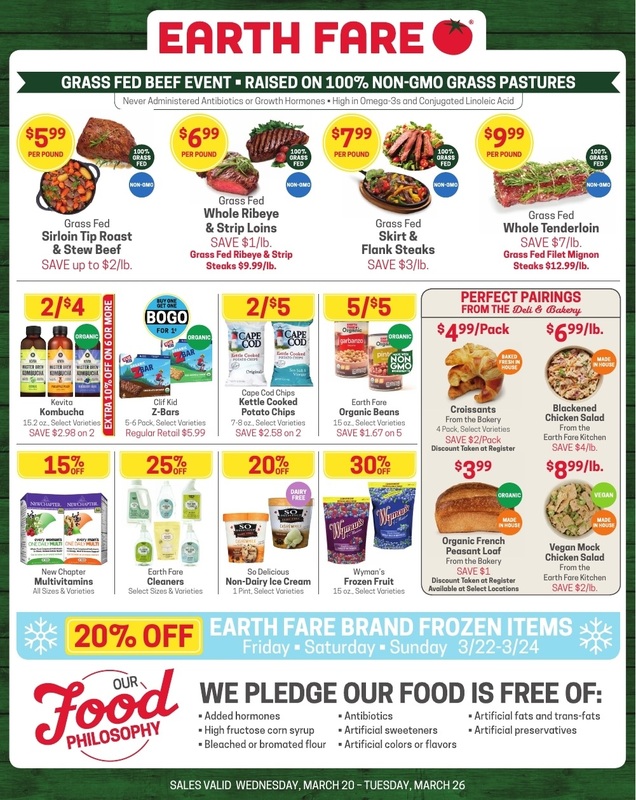 Browse the current Earth Fare Specials for this week and take great savings on Hass Avocados, Fresh Ground Sirloin, Cape Cod Chips, Garden Fresh Salsa, Earth Fare Organic Virgin Coconut Oil, Earth Fare Sandwich Breads, and much more. Earth Fare is an American health and wellness supermarket with 53 locations in 10 states throughout the southeast and Midwest United States. 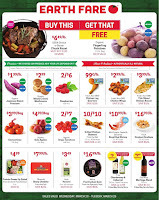 Earth Fare Ad preview valid for Seminole FL, Canton Ohio, Asheville, Columbia SC, Ocala Florida, Charlotte NC, Johnson City TN and other locations. 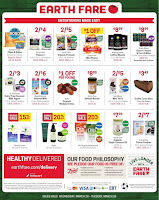 To save more at the Earth Fare store, don't forget to use digital coupons and monthly deals. 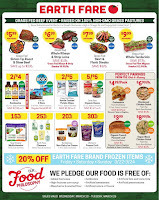 Check out the latest Earth Fare Weekly Deals and don't miss to save the weekly ad. 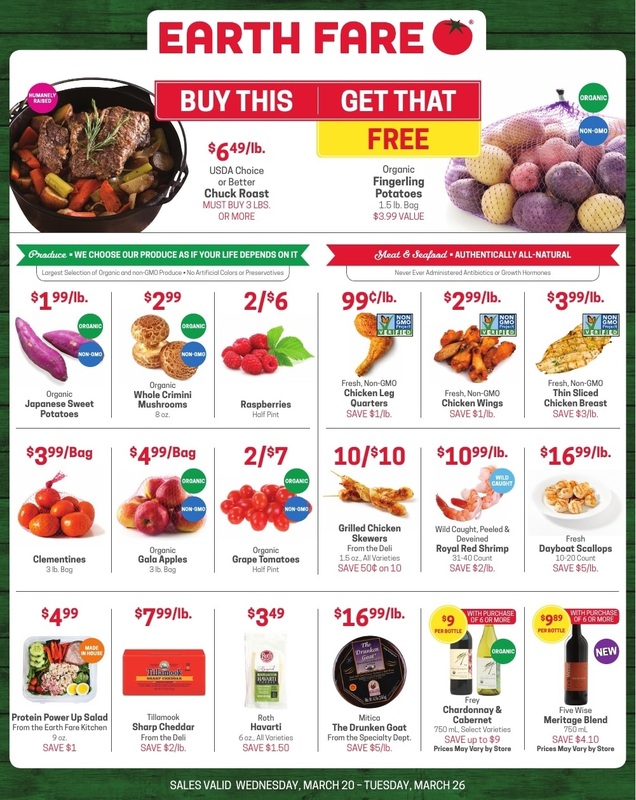 Visit the official site to view Earth Fare Weekly Specials, store locations, open hours, recipes and more.